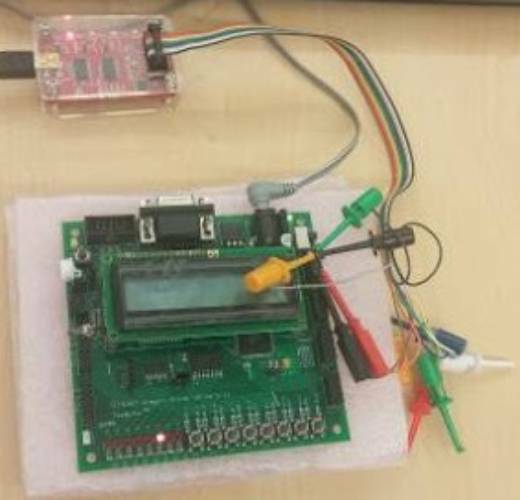 The Bus Pirate is a universal electronic open hardware tool to program and interface with communication buses and program various microchips. 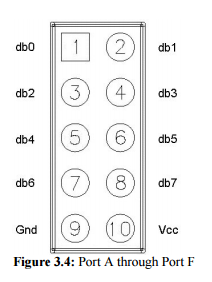 *NOTE: Bus Pirate v3.6 is exactly the same a Bus Pirate v3.5, the PCB was changed to fit a 'DP6037' standard PCB footprint to make cases easier to design. We will show you how to use the Bus Pirate as a communication analyzer. The demo will use the Bus Pirate to see what the Mega128 board is sending to the LCD screen. Download “ols-0.9.7.2” the free “Logic Sniffer” software. 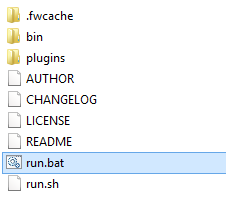 Unzip the files and click “run.bat”. 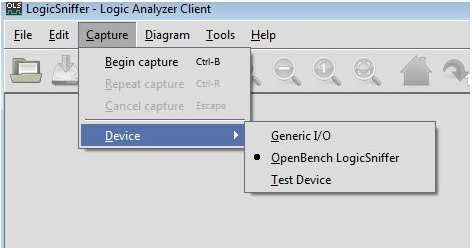 When the LogicSniffer opens click on “Capture”, scroll to “Device” and select “OpenBench LogicSniffer”. Now you are ready to begin. Connect your Bus Pirate to you computer with a USB-mini to USB cable. 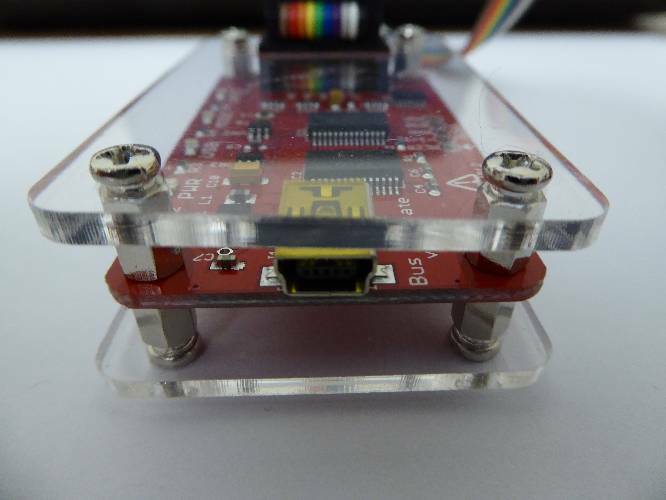 Next connect your probes to the microcontroller that you want to analyze. 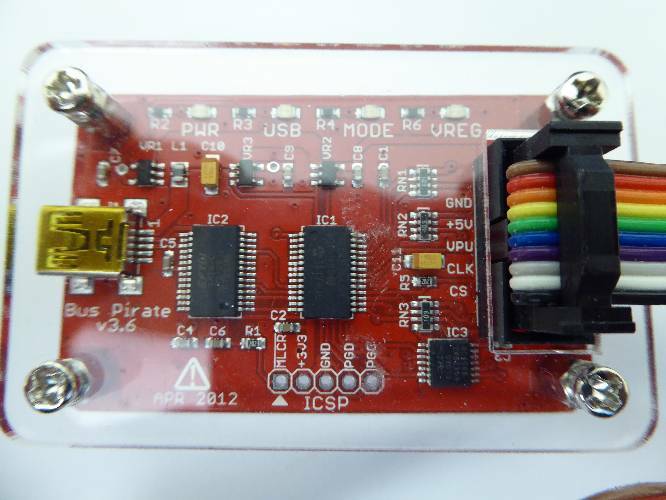 We will be analyzing an SPI connection from the Mega128 board to its LCD screen. Follow the probe pin-out diagram to see how to connect the bus pirate to the data line. When you have connected Gnd, Vcc, MISO, MOSI, and clock click “Begin capture”. In capture you have to setup the capture settings. 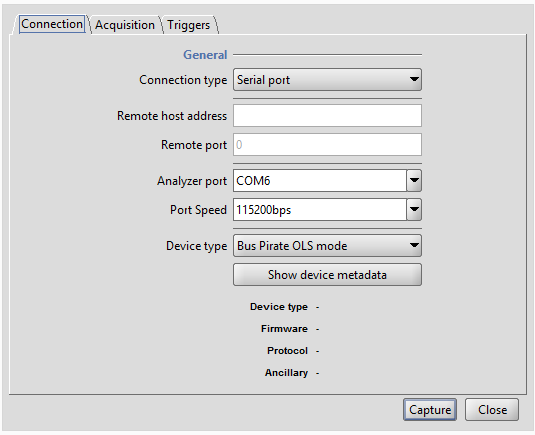 Start with the “Connection” tab, make sure that the connection type is set to “Serial port”, “Analyzer port” is set to the port that the Bus Pirate is connected, chose a port speed (I recommend the default 11520 bps) if you don’t know what to use and select “Bus Pirate OLS mode” for Device type. Now switch to acquisition settings. You will not need to change any of these setting for this demo, but It is good to know what is available. Now switch to the triggers tab. Enable trigger by clicking the enable box. At the bottom of this screen you will see Mask / Value tick boxes going from 0 to 31. Our Bus Pirate only has 5 logic inputs so 5 through to 31 are grayed out. 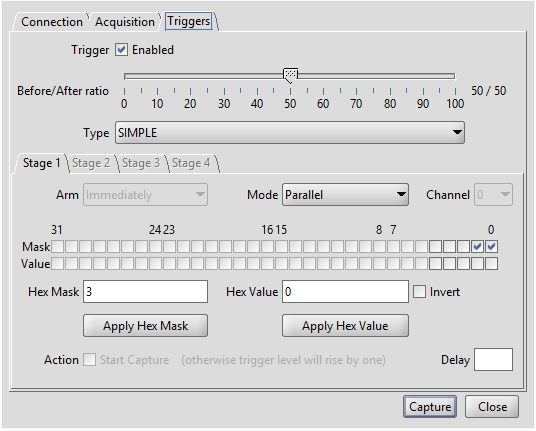 Tick in the Mask boxes any inputs that you want a trigger enabled on. Value bits are currently ignored, any change triggers the capture. For our demo I will enable the MISO and MOSI by clicking the first two mask boxes. 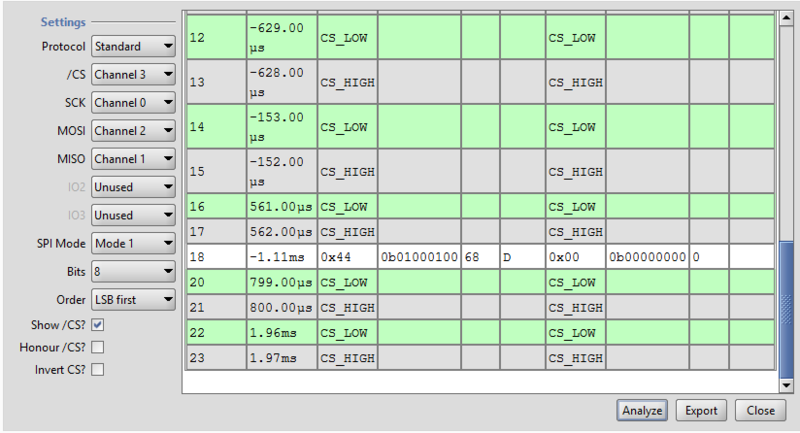 Once all these settings are ready click “capture”. 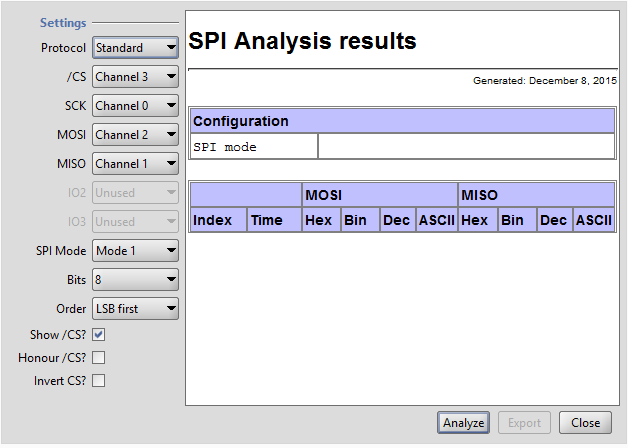 Then click on “tools” and SPI analyzer. 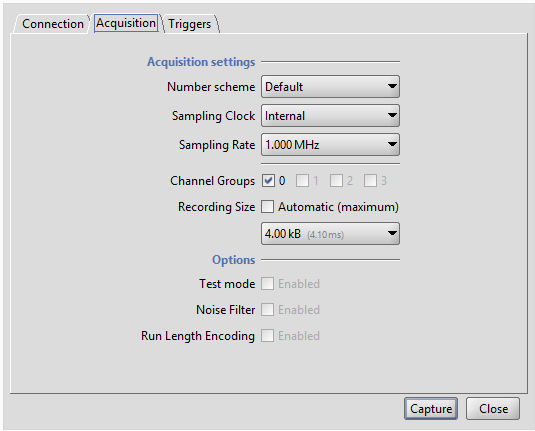 You will not need to adjust any of the settings for this demo, just click “Analyze”. Afterwards you should get data in the viewer box. This data will tell you what information was transmitted and what changed happened in the signal lines. After you have analyzed your data you can close the tool box. The data passed will be inserted into the original scan. You have successfully analyzed your data, Congratulations!! !